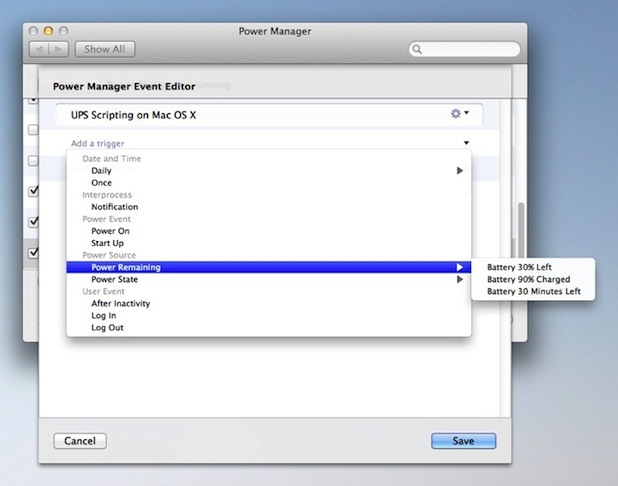 You can use Power Manager to script your Uninterruptible Power Supply (UPS) on Mac OS X. In Power Manager v4.1, we added a couple of new triggers and conditions that allow you to trigger events, such as AppleScripts or commands, when your UPS's state changes. Trigger an event when the UPS switches to battery power. Trigger an event when the UPS power level reaches a particular percentage or time remaining. Within each trigger, use the optional Filter field to tell Power Manager to act only when the UPS power source is matched. The triggers can filter UPS devices based on how they are connected to your Mac. Power Manager supports USB, networked, and serial cable connected UPS hardware. 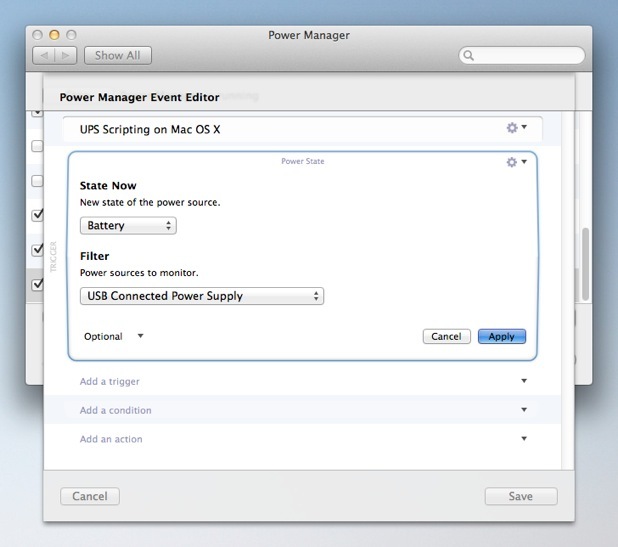 Power Manager supports any UPS device supported by Mac OS X. This article was posted in PM4, PMPRO4, and Power Manager and tagged Uninterruptible Power Supply, and UPS.